We’ve all heard ministers talk about how they value the NHS and our public services. Well they have a funny way of showing it. For more than two decades of Labour, Tory and LibDem governments, privatisation has been on the cards. In recent years public sector workers have suffered real terms pay cuts. Local services in Brighton and beyond are under immense strain. If we're serious about protecting public services, we need to be serious about how we fund them. That's why Caroline is honest about the need for richer people to pay a little more in tax. It is time for the Government to admit that privatisation has failed on every count. Caroline wants to put the railways back in public hands. This would save taxpayers more than £1 billion a year and lead to lower fares and better services. 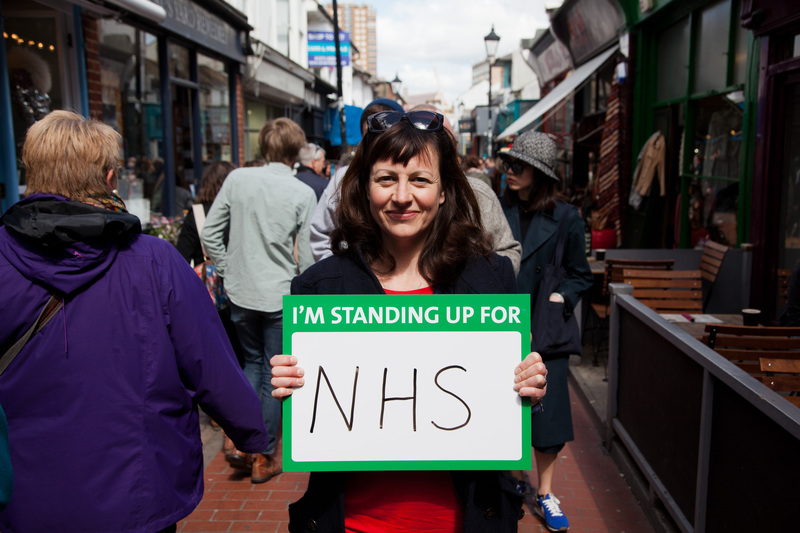 Caroline is passionate about protecting our health service. A run-down of what I've been up to over the past week. This is a bumper update of all my activity since 9 July. I won't be posting an update over the summer because Parliament is in recess, so the next one will be in September.